With Maine poised to lead the U.S. in using the system, Republicans candidates for governor indicate that they could contest the 'scam' results. AUGUSTA — Republican gubernatorial candidates are more critical of ranked-choice voting than their Democrat counterparts, and several indicated Friday that they might challenge the results of such an election if the system survives a legal review at the hands of a Superior Court justice and is used for the first time in the June 12 primaries. Four Republicans and seven Democrats vying for the Blaine House would be subject to ranked-choice voting. Although nearly all of the Democrats said they would abide by the results, most of the Republicans sharply critiqued the ranked-choice system, raising the likelihood they would not. 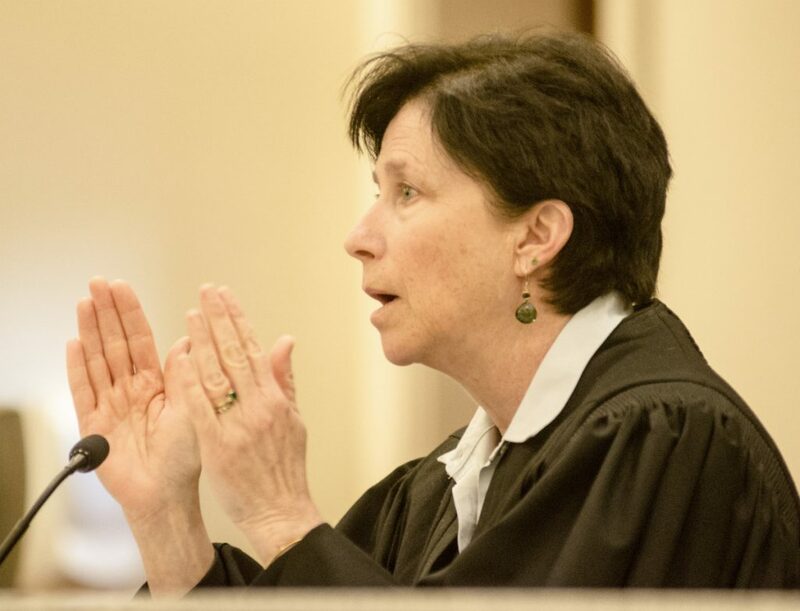 Justice Michaela Murphy, ruling on a complaint from the Committee on Ranked Choice Voting, ordered Maine Secretary of State Matt Dunlap on Tuesday to continue to prepare for a ranked-choice primary. 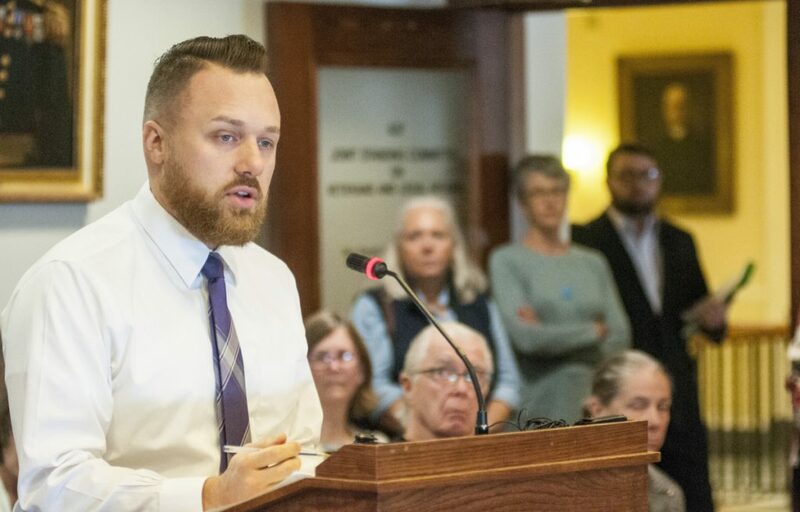 But a second complaint filed by the Maine Senate on Wednesday is asking Murphy to consider a long list of additional questions about the law that Republicans have said is in conflict with the state constitution. Those questions include whether Dunlap is authorized to expend state funds on a ranked-choice primary and take possession of ballots and return them to a central location for tabulation, as stipulated in the law. In a traditional election, whoever gets the most votes wins. This is so even if there are more than two candidates and no one gets a majority, or more than 50 percent of the votes cast. Under the ranked-choice system, voters select candidates in order of preference. If no candidate receives more than 50 percent of the vote, the candidate with the fewest first-choice votes is eliminated. Voters who preferred the eliminated candidate would then have their ballots added to the totals of their second-ranked candidates, and the ballots would be retabulated. The process continues until one candidate has a clear majority and is declared the winner. A NOT-SO-SUBTLE SWIPE AT LEPAGE? Critics have said the law, passed by voters in November of 2016, was a response to the election of Gov. Paul LePage, a Republican who twice won election with less than 50 percent of the vote. In 2010, he received 38 percent of the vote in a three-way race that saw independent candidate Eliot Cutler finishing a close second, well ahead of Democrat Libby Mitchell. LePage has been a staunch critic of the law, pointing to language in the Maine Constitution that declares that in elections for governor and the Legislature, the candidates with a plurality, or the highest number of votes cast, are the winners. However, that language only applies to the general election in the fall. The constitution is silent on primary elections. Mayhew would not say outright that she would challenge the results of a ranked-choice primary. Neither would any of the other Republicans. Gorham businessman Shawn Moody, who ran as an independent for governor in 2010 and got 5 percent of the vote, issued a statement through his campaign spokeswoman that didn’t address his position on the issue. “Shawn Moody is making his case that the State of Maine needs a job creator like himself to continue the common sense conservative reform started (under the LePage administration) and he is confident he can win under any scenario,” said the spokeswoman, Lauren LePage, who is the governor’s daughter. Maine House Minority Leader Ken Fredette, R-Newport, also refused to say how he would respond to a ranked-choice primary. Fredette did say that the Legislature should not make another attempt to fix any flaws in the law at this point. Senate Majority Leader Garrett Mason of Lisbon, the fourth Republican candidate, said he would not rule out bringing a legal complaint if he lost a ranked-choice primary after winning a plurality of votes. Mason said the goal for his campaign was to win the primary with a solid majority on the first ballot so ranked choice doesn’t become a factor. “There are a lot of strange things that could happen on June 12th,” Mason said. In sharp contrast with the Republicans, Democratic candidates said they accepted the ranked-choice system. “If we all pledged to say we are going to live by the people’s vote and by ranked choice, which I, 100 percent pledge to do, then we won’t have a problem,” Betsy Sweet of Hallowell said. Former state Rep. Diane Russell, a Portland Democrat who sponsored a ranked-choice bill in the Legislature nearly a decade ago, tweeted Thursday that she would abide by the results of a ranked-choice primary. State Sen. Mark Dion, also a Portland Democrat, said he would accept a loss in a ranked-choice primary – even if he obtained a plurality of votes in the first round. Attorney General Janet Mills of Farmington was the only Democrat who declined to comment on the ranked-choice issue. She said because the question is now before the courts she did not want to speculate on what she may do in June. The three other Democrats – former House Speaker Mark Eves of North Berwick, former legislator Donna Dion of Biddeford and attorney Adam Cote of Sanford – all said they would respect the will of voters in a ranked-choice election. Dion said she might seek a recount if a vote tally were extremely close but would otherwise accept the results. “The point right now is for people to stop the political games and make sure our election is properly funded and run without chaos and confusion,” Cote said.